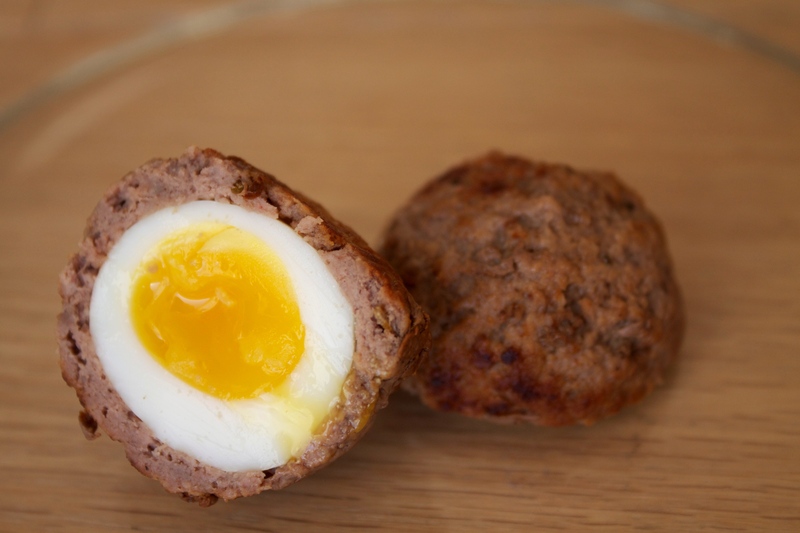 I previously introduced you to the Chicken – Egg Ball recipe with chicken breast and chicken eggs, so today I will introduce you to Beef-Egg Ball with quail eggs and ground beef. 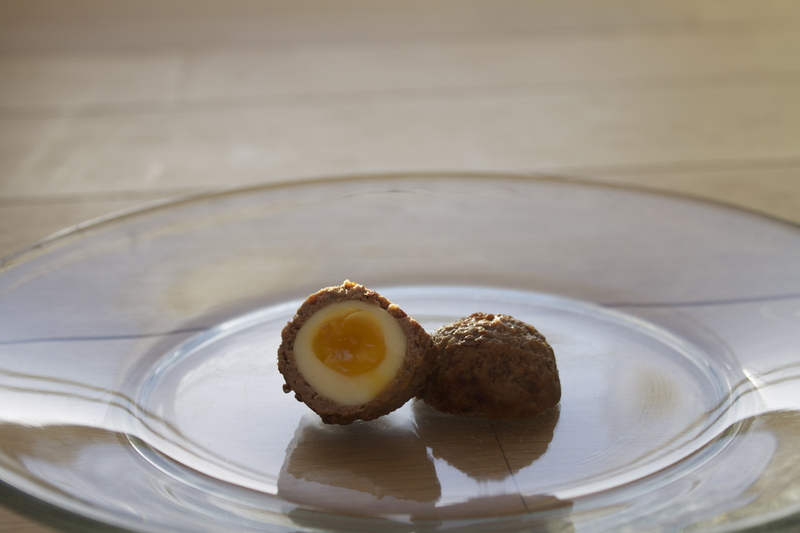 Bring water to a boil then add the quail eggs for 2 minutes if you want the yolk to be runny and 3 mins for a well done yolk. 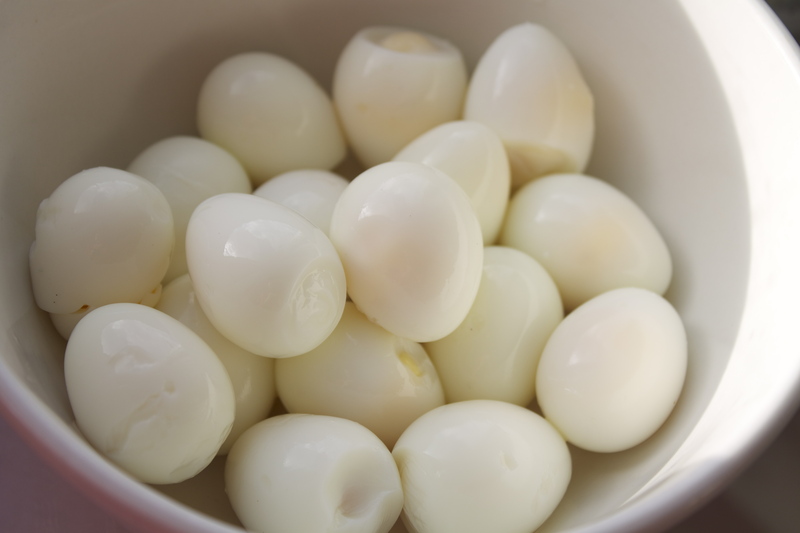 After cooling the eggs, peel them. 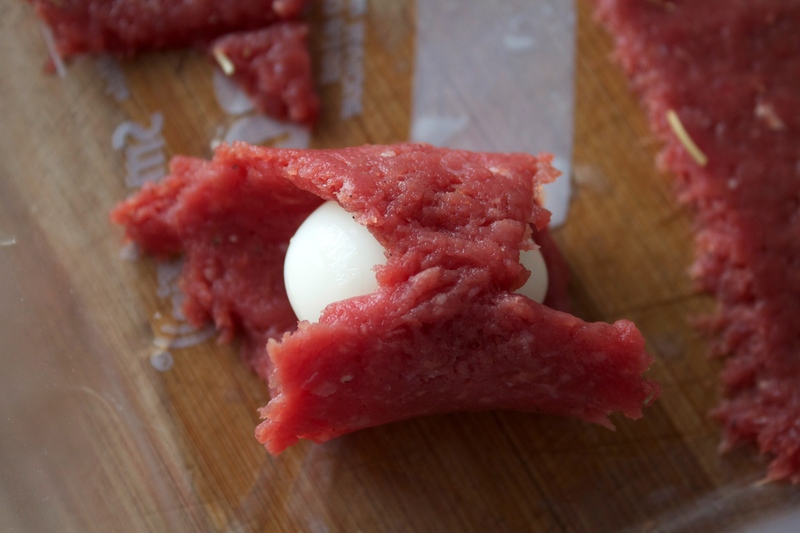 Put the meat in a bowl and mix with salt, pepper and rosemary until they stick all together. 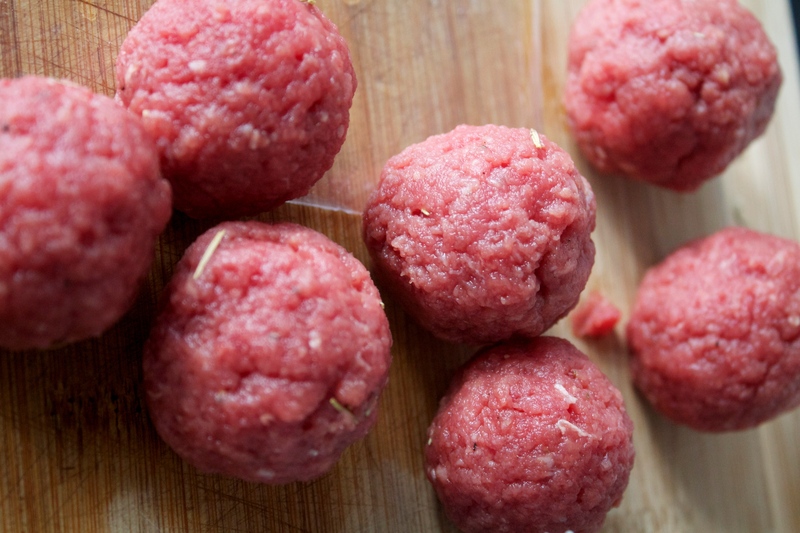 Form 2 big balls with all of the meat. 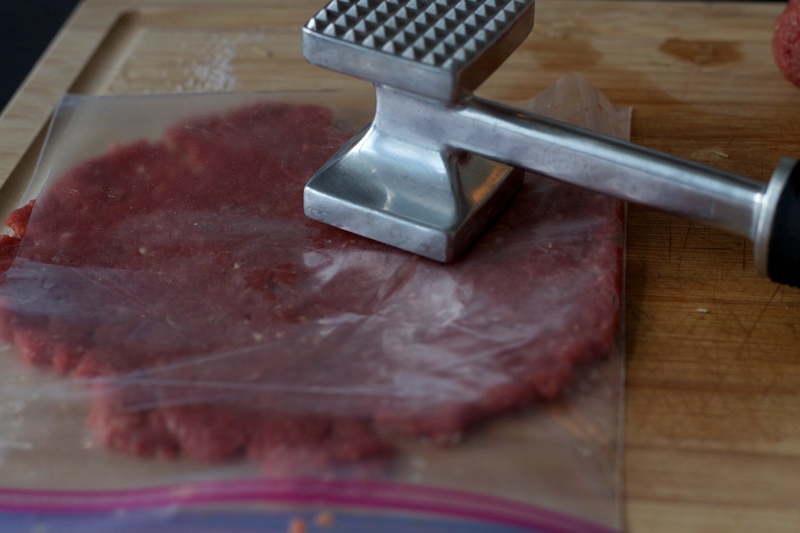 Cut a ziplock bag and put the meat ball between the 2 sides, smash it with your hand or use a hammer. 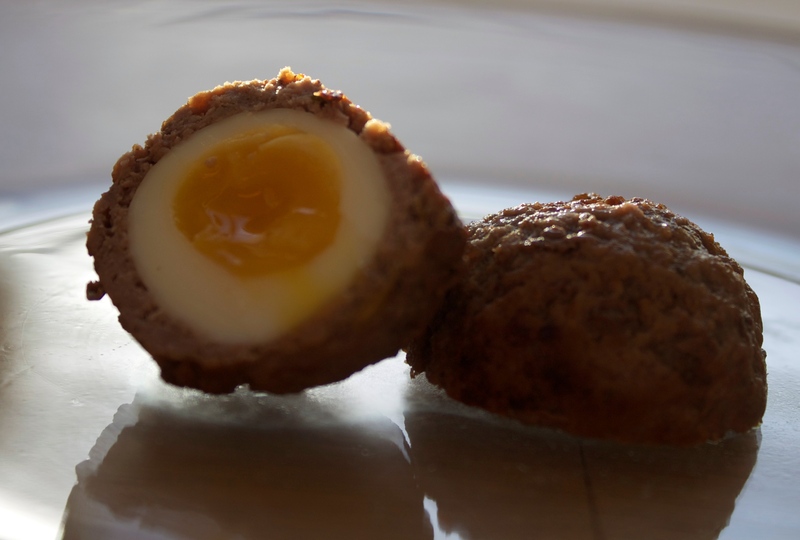 Take a rectangle piece about 5cm width and 3 cm hight, put the egg in the middle and stick the edges together then roll the sides and shape a ball (leave a bowl of water near, to wet the hand so often). 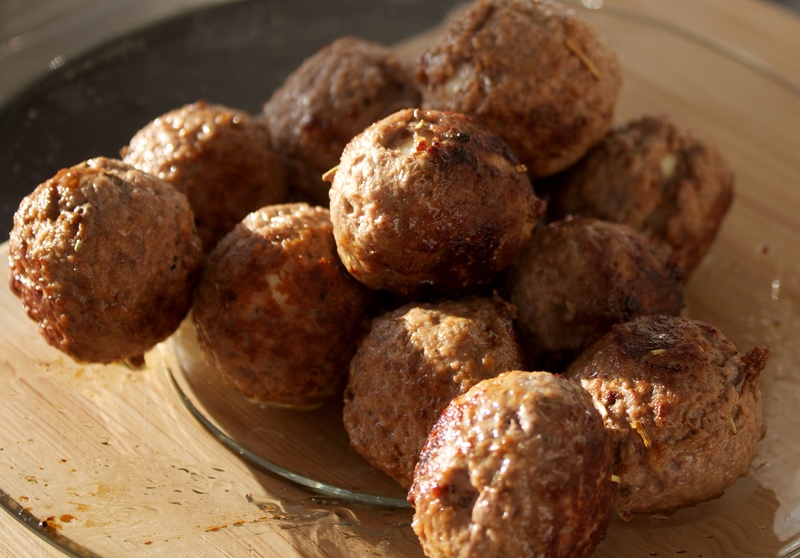 Fry the meat balls in some vegetable oil on a medium high heat, about 3 to 4 minutes on each side. 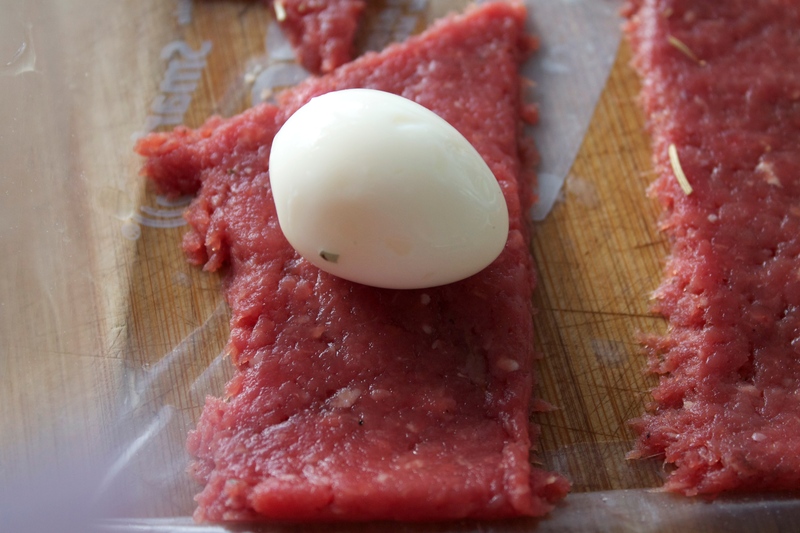 TIP: You can dip the meat balls in eggs and flour before frying for more crispiness. Serve with honey mustard dip (2 tablespoons of mustard with 1 tablespoon of honey). 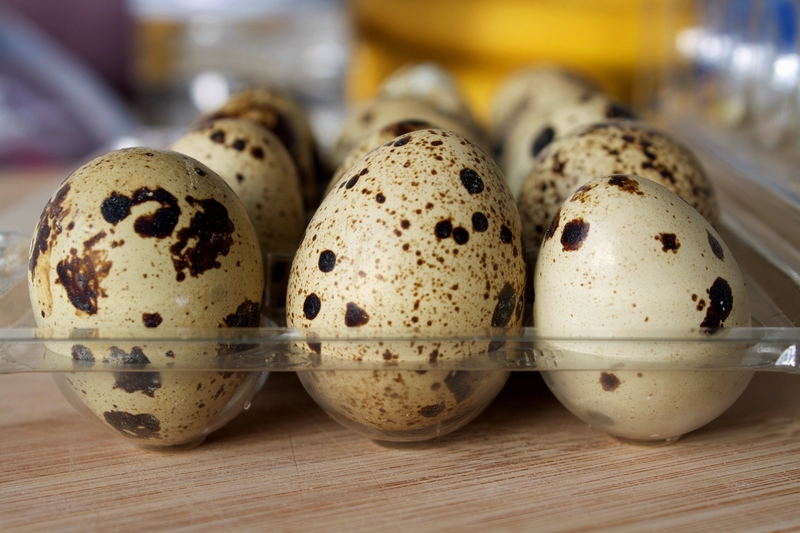 This entry was posted in Meat and tagged Eggs, French, Gluten Free, Meat, Quail, Scotch. Bookmark the permalink.